Throughout February and March, I urge you to keep an eye out in Boots and Superdrug stores for some new additions to the L’Oreal Paris Colour Riche nail range. These new Spring 2014 releases have got me genuinely excited which is something that doesn’t happen all that often these days so this is big news! 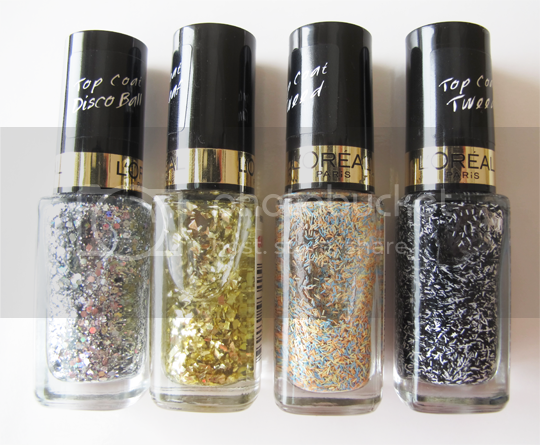 There are two polish quartets on their way – Les Blancs* and The Top Coats collection*. 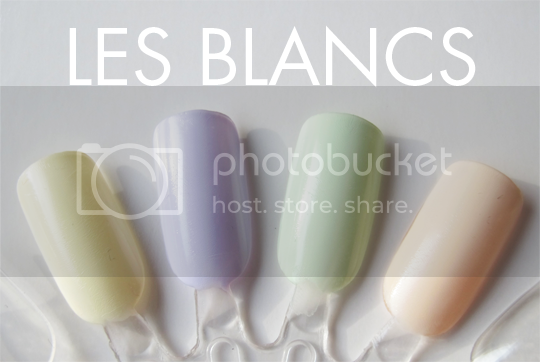 This stunning selection of macaroon-inspired Springtime pastels are, unfortunately, the ones we’ve got to wait a little longer for with Les Blancs being scheduled for a March release. 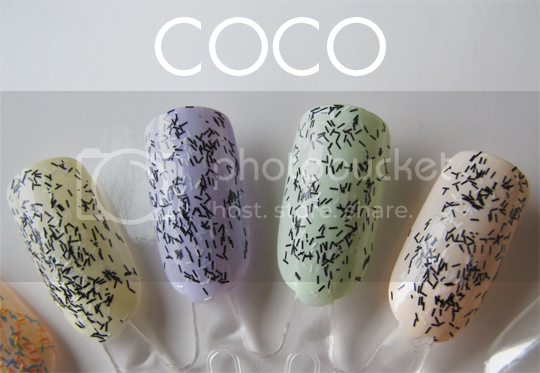 From left to right are the creamy yellow Lemon Meringue, chic lilac Nouvelle Vague, on-trend green Pistachio Drage and neutral blush pink Peach Neglige. All four shades are perfectly opaque within two coats leaving a high-shine, durable finish which is a welcome change from the chalky, streaky mess that we usually get with affordable pastel polishes. My personal favourites are Nouvelle Vague and Pistachio Drage – gorrrgeous. Luckily we don’t have as much of a wait for The Top Coats, which will be appearing in stores throughout this month. 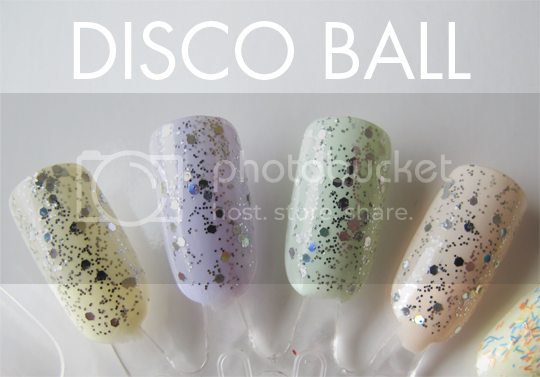 This glam quartet, particularly Disco Ball and Gold Leaf, seem quite an odd match to pair with the pretty pastel Les Blancs but they all work so well together. Jackie O and Coco (yes, as in Coco Chanel) are what L’Oreal are calling ‘Tweed’ topcoats – they’re a lot like the Sally Hansen polish Fuzz-sea I tried a few months back, but a whole lot nicer. 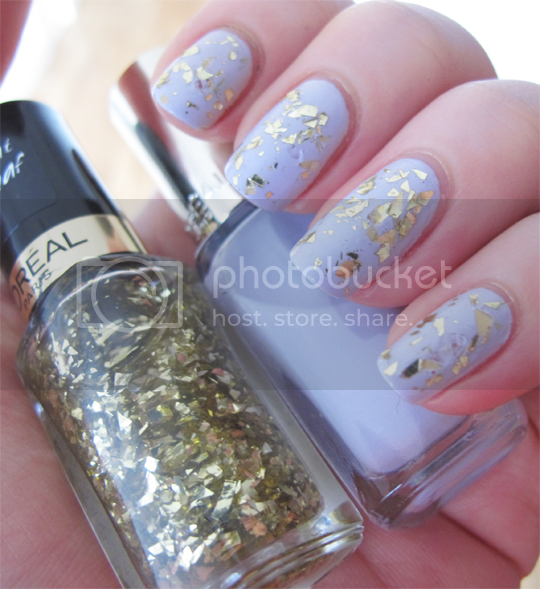 My favourite of The Top Coats is definitely Gold Leaf – it’s not a million miles away from OPI’s Man With The Golden Gun. 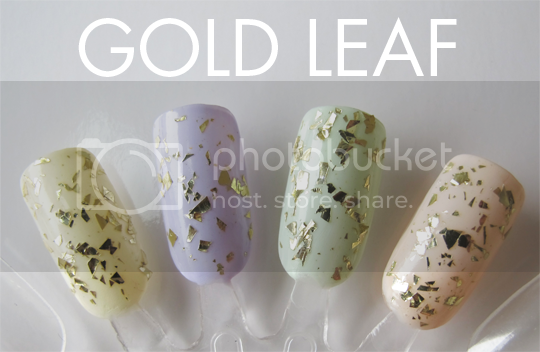 Here’s my favourite combination – Nouvelle Vague and Gold Leaf. I can’t get over how durable these are – this was applied on Tuesday, photos taken on Saturday and not a hide nor hair of tipwear or chipping despite no topcoat being worn. That is pretty bloody excellent if you ask me, certainly when you consider that L’Oreal Paris Colour Riche polishes will only set you back £4.99 each. 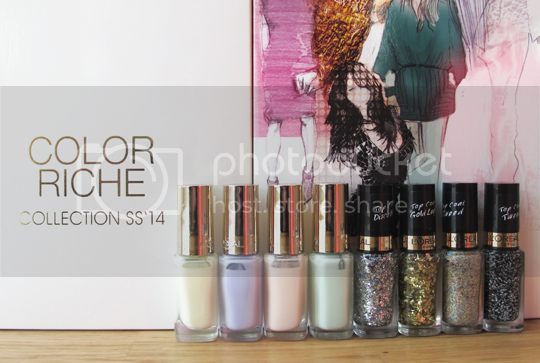 All in all an exciting nail launch and one that I definitely recommend keeping your eyes peeled for! Oh wow those are some gorgeous pastels! 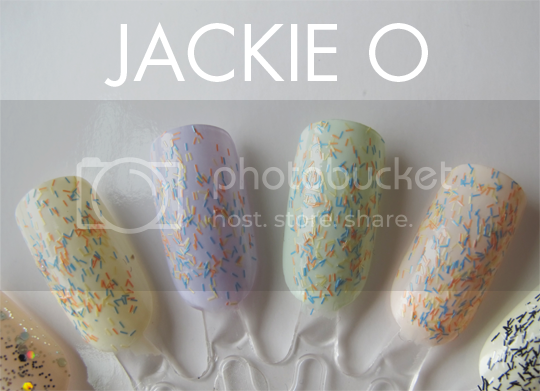 Hmm, Sally Hansen Fuzzy Coat in All Yarned Up looks identical to the Jackie O! But it applied a lot denser on me.